Cedar Point Amusement Park has been voted the Best Park in the World for 10 years in a row! 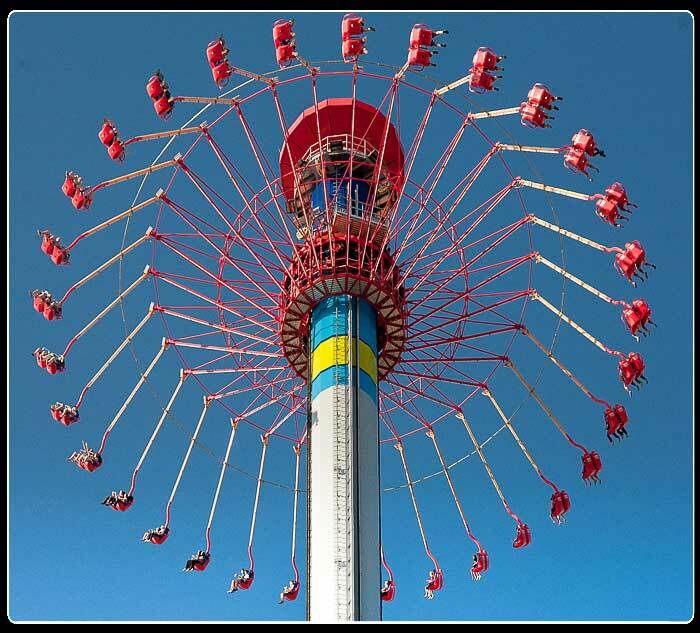 With more than 150 rides (including 17 roller coasters), shows and attractions, including the new Planet Snoopy, Cedar Point is the largest amusement ride park in the world. Cedar Point offers a total vacation package in one spot. Besides the obvious attraction of the rides, Cedar Point also offers exquisite gardens. Each year more than 25,000 flowers are planted to create a kaleidoscope of color combined with nearly 500 rose bushes. The gardens on the main midway have become an attraction in themselves over the years. Bright colored flowers and unusual designs combine to create a showcase of floral patterns and arrangements. Perhaps the most ideal place to appreciate this landscaping art is from the Sky Ride or the Space Spiral which will give you a bird's-eye-view. Down the main midway, the landscape designers really put on a show with their floral arrangements and skilled topiary skills. This floral arrangement often goes unnoticed since so many other things are working overtime to grab visitors attention, but if you enjoy gardens and live floral arrangements, pay attention, this is good! 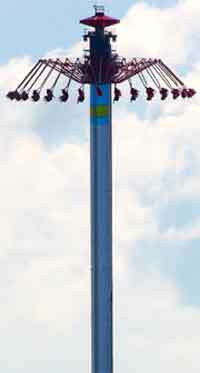 Cedar Point was named for the large groves of cedar trees that once covered the peninsula. In the 19th Century, Cedar Point served as the site for a lighthouse and as a port for fishermen. The narrow peninsula became linked to a small railroad in 1867. Within a few years, developers began building facilities to attract tourists to the region, including bath houses and picnic areas. 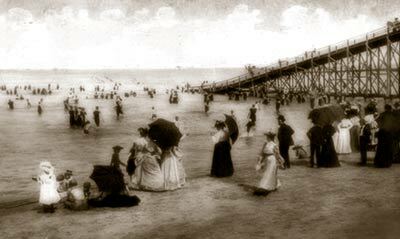 The amusement park claims 1870 as its first season, when the first bathhouse and other forms of entertainment were built. 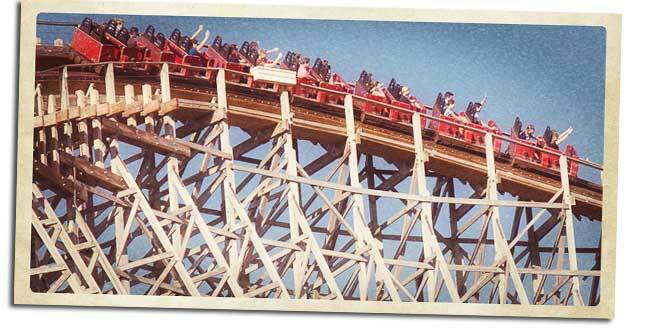 The first roller coaster was built in 1892. Over the years, new rides were added and the park expanded. 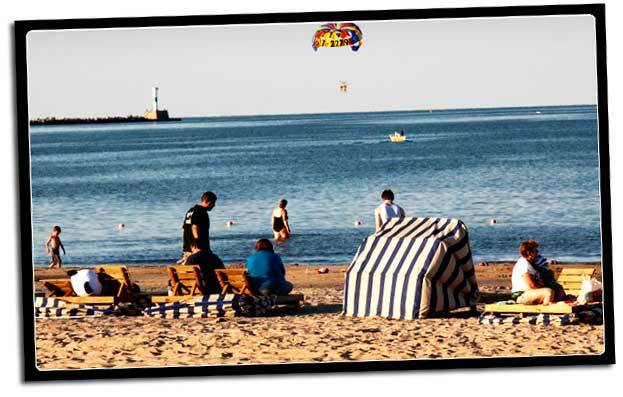 Over the years, Cedar Point evolved from a simple amusement park into a full-service resort with numerous hotels and camping areas. Since its inception many people have sunbathed along its Lake Erie beach, but more recently Cedar Point has also added Soak City, an 18-acre water park largely surrounded by the path of Magnum XL 200, including more than twelve water slides, two lazy rivers where guests can float on inner tubes, a 500,000 gallon wave pool, two kids' areas, an adult pool with a swim-up bar, and plenty of shaded and sunbathing areas. Admission is separate from admission to the park.